Daniela Sarcos. Born and raised in Caracas, Venezuela, moved to the classic beach community of Oceanside, California in 1997 , as a true local artists, she has made a life for her and her children ever since. 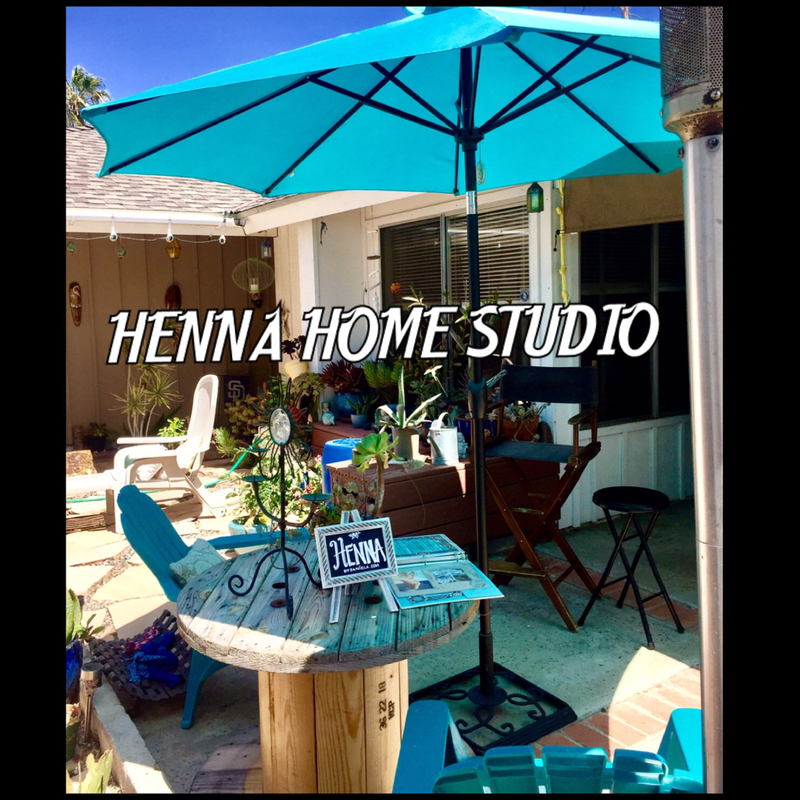 The journey into Henna began with Daniela’s first Henna book back in 1999 where she fell in love with the history, beauty and spirituality that the art form offered. Combined with her passion for creativity and her gift to serve & create happiness in her fellow man has set her apart from others in her field. Henna offers many benefits; you’re getting more than just a tattoo. Henna is so much more than that! It's 100% natural (avoid those that add chemicals to make it black) some of the health benefits are the ability to relieve headaches, detoxify the body, protect the skin from the sun, cool down the body from heat exhaustion, reduce inflammation, speed up healing, regulate menstrual cycles, and it’s a natural hair dye as well. Spiritually Henna is believed to bring happiness, good fortune and benevolence of the Universe. It is infused with positive energies and delivered through the tips of the Henna artist and if you allow yourself to connect with those energies you will feel an instant uplift in your mood when you have a Henna stain on your skin. Though it’s temporary, the memory will last a life time! So sit back, relax and let Daniela create beautiful and meaningful designs on you.